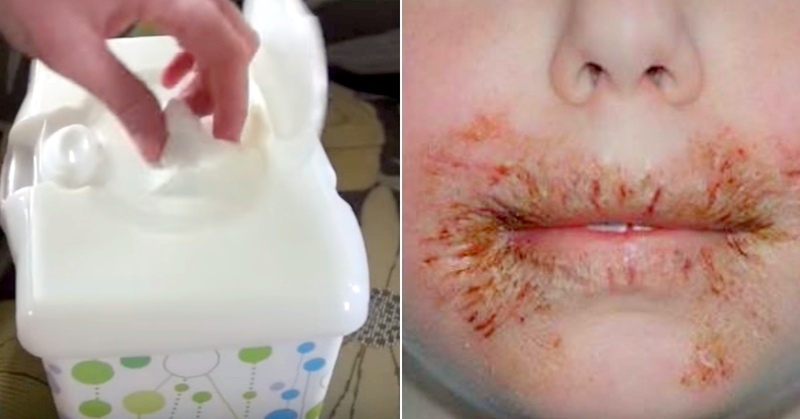 Many parents wouldn’t think twice about what’s in their child’s baby wipes. After all, they’re completely safe to use – right? More and more research is surfacing that baby wipes aren’t the best thing for our children’s skin. In fact, some doctors are recommending that parents cease using baby wipes on their children entirely, because of the risk they are taking each time they do so. According to NBC News, a study has surfaced that confirms baby wipes are not safe to use on your children due to one key ingredient. The results of the tests conducted were worrisome, as children ended up having a reaction that left them with itchy, scaly, and red-rashed looking skin. An associate professor of dermatology and pediatrics at the University of Connecticut School of Medicine, Dr. Mary Wu Chang, was the co-author of this official study conducted. She experimented with many different children, and in the end, six unique reactions caught her attention. One eight-year-old girl ended up having a severe rash on her buttocks and also around her mouth. Due to the location of where the reaction was located on the little girl’s body, Dr. Chang narrowed the problem down to the baby wipes that were being provided to her. She asked the little girl’s mother what exactly she was providing her daughter to clean with, and the mother confirmed she gives her baby wipes. Remembering a previous report Dr. Chang stumbled upon during her research, another case where a Belgian man had a severe chemical and allergic reaction to a chemical preservative called methylisothiazolinone – Dr. Chang linked this preservative to the exact baby wipe reaction as the little girl. To be sure, Dr. Chang tested the little girl to see if she was officially allergic to this particular chemical, and sure enough, her test came back positive. The solution was simple; the mother stopped using the baby wipes immediately, and all of the little girl’s rashes successfully cleared up. Over the next year and a half, Dr. Chang found similar reactions in five other kids. Thanks to the successful conclusion of the first little girl, Dr. Chang had the five sets of parents cease using baby wipes on their children, and their rashes went away as well. Methylisothiazolinone has been found in many of the popular brands such as Johnson & Johnson, Cottonelle, and Huggies to name a few. Now that this chemical is becoming a health and safety concern for children, they are reconsidering adding this ingredient to their products. Their goal now it to try and replace this harmful chemical with a more natural alternative. To make sure this harmful chemical is not going to cause the same problems for your child, look at the ingredients on the side of the baby wipe box. If you see the chemical methylisothiazolinone, you may want to stop using those wipes and perhaps baby wipes altogether. This way you can prevent these severe rashes from happening to your child. Although prepackaged wipes are the most convenient way to keep your children clean, the risk simply isn’t worth it. Don’t worry though, because there are other solutions such as creating your own DIY wipes at home with natural products, or simply using a cloth with warm water.